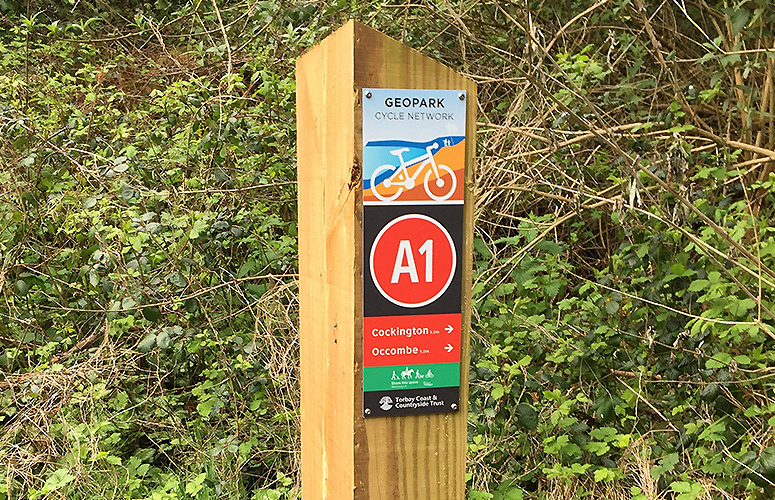 The Cockington Valley Loop project spawned from a larger goal of providing the whole of Torbay with a cycle network. 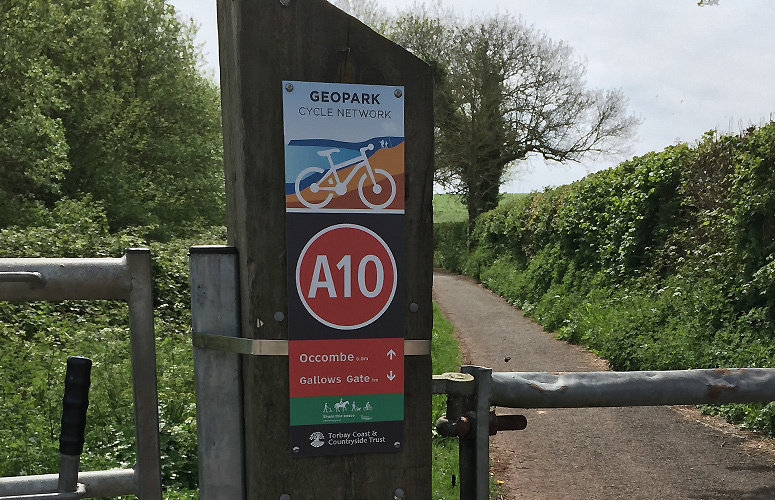 The tentatively titled ‘Geopark Cycle Network’ initiative was a collaboration between a number of organisations including Torbay Council, Torbay Coast and Countryside Trust, Torbay Development Agency, UNSEO Global Geopark, British Cycling and the Coastal Communities Fund. 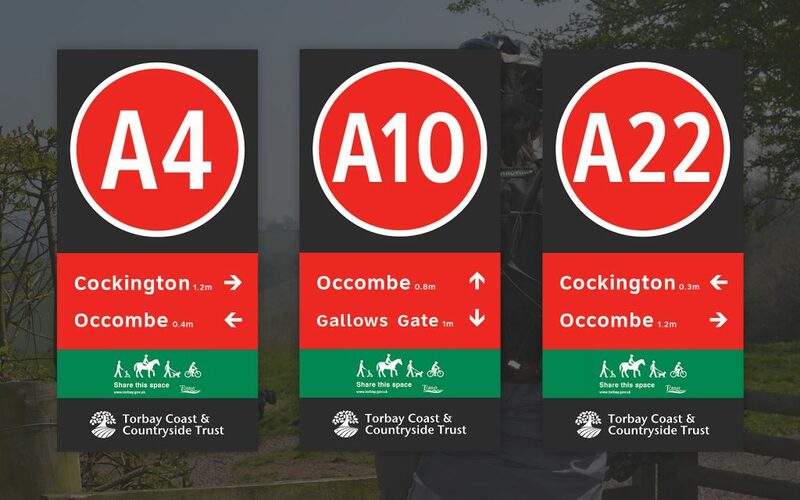 The network was intended to link the pre-existing cycle offers in Torbay as well as introducing new signposted routes from Torquay to Brixham. 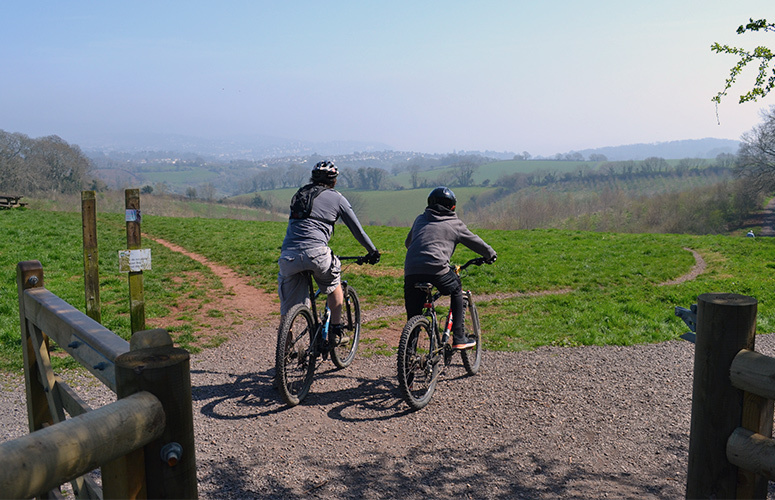 The plan received backing from the BMX track at Watcombe, the Scadson Woods Bike Park and Torbay Velopark. 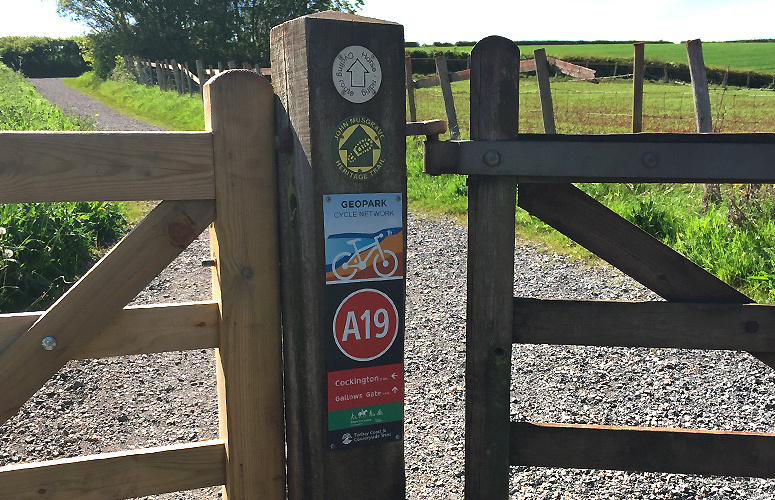 We hosted the first meeting to discuss the network and at that time it was agreed it would be called the ‘Geopark Cycle Network’. We were tasked with designing the brand identity for the scheme. As the project was being funded by a number of organisations we were required to use elements from a number of different brands. As a result the logo became an amalgamation of a few ideas, rather than something unique to Torbay. Ultimately the Geopark Cycle Network didn’t get the backing it deserved and due to conflicting politics failed to get off the ground. 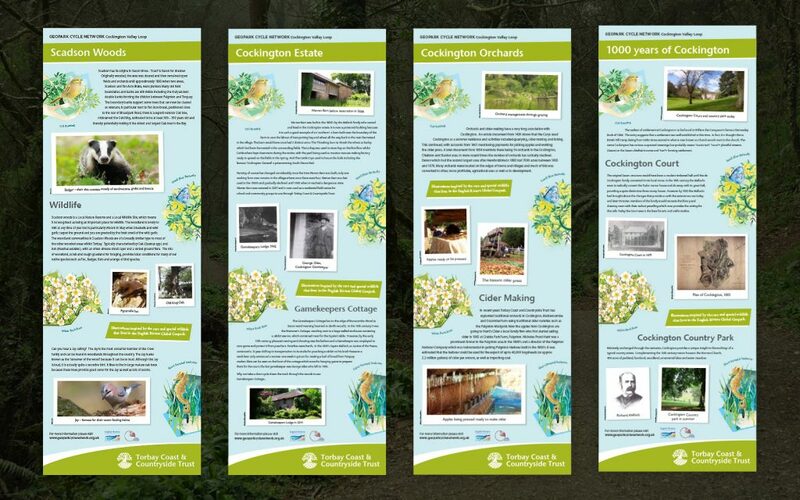 It was during this time that the Torbay Coast and Countryside Trust were in the process of constructing two off-road cycle routes that looped from Occombe Farm, through Gallows Gate, past Cockington and back to Occombe. 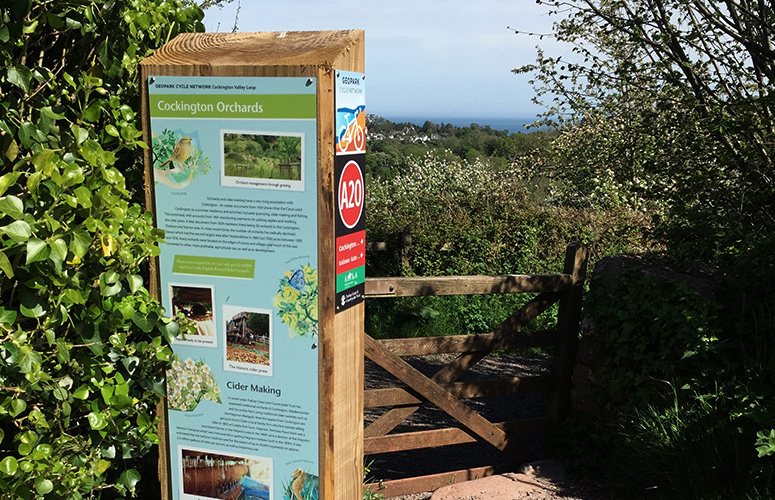 The Torbay Countryside Trust approached us to design a wayfinding system to help cyclists navigate the route as well as eight interpretation panels that tell the story of the local area at various points on the trail. 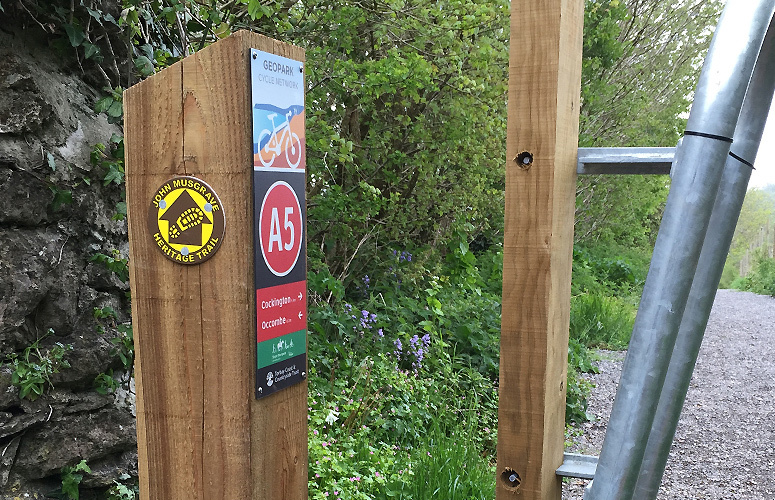 The images that you see on this page show a selection of the wayfinding signs and interpretation panels that can be found on this route.